Joseph Jenkins Roberts was the first (1848-1856) and seventh (1872-1876) president of Liberia. Roberts was born free in Norfolk, Virginia, to a mixed-race family; his father was of Welsh origin and his mother, Amelia, was described as a mulatto. His mother married a free black man named James Roberts who gave her children his surname. In 1829 at the age of twenty, Roberts immigrated to Liberia with his mother and younger brothers, initially became a merchant, and later served as an aide to the white governor of the colony, Thomas H. Buchanan, a member of the American Colonization Society. After Buchanan’s death in 1842, Roberts was appointed the first black governor of the colony of Liberia. In 1828 Roberts married an eighteen-year-old woman named Sarah in Virginia. The couple had had an infant child, but both wife and child died in their first year in Liberia. Roberts married a second time to Jane Rose Waring, the daughter of Colston Waring and Harriet Graves who were also immigrants to Liberia. The couple had no children. Roberts led the African American colonists in seeking treaties with the indigenous people to establish peace and stability in the colony and recognition from foreign powers. On July 26, 1847, he declared Liberia independent. He won the first presidential election on October 5, 1847, and was sworn into office as Liberia’s first president on January 3, 1848. Roberts spent the first year of his presidency, seeking recognition of Liberia by European countries and the United States. In 1848 he traveled to Europe to meet with Queen Victoria. Consequently, Great Britain was the first country to recognize Liberia in 1848. France followed in 1848, and in 1849 Portugal, the Austrian Empire, Norway, Sweden, Haiti, and Denmark all recognized the nation. Although Liberia was founded by the American Colonization Society, the United States did not recognize Liberia until 1862. During his presidency, Roberts expanded the borders of Liberia along the coast and made attempts to integrate the indigenous people living in Monrovia, the capital into the political community. After Vice President Stephen Benson defeated Roberts for the presidency in 1855, Roberts served the nation for fifteen years as a major general in the Liberian Army and as ambassador to France and Great Britain. In 1862 he helped found Liberia College of Monrovia (later would be called University of Liberia) and served as its first president until 1876. During his time in that post, Roberts traveled back to the United States for the first time since 1829 to raise funds for the college. Roberts was elected president again in 1871 and after taking office the following year, he served until poor health incapacitated him early in 1875. During that time, Vice-President Anthony Gardiner served as acting president. Joseph Jenkins Roberts died on February 24, 1876, in Monrovia, less than two months after his second term ended. Never a wealthy man, he left his entire estate, $10,000 and his lands, to the Liberian educational system. Liberia’s main airport, Roberts International Airport, the town of Robertsport, and Roberts Street in Monrovia are all named in his honor of Roberts. His face is depicted on the Liberian ten-dollar bill which was introduced in 1997 and the old five-dollar bill which was in circulation between 1989 and 1991. His birthday, March 15, was a national holiday in Liberia until 1980. 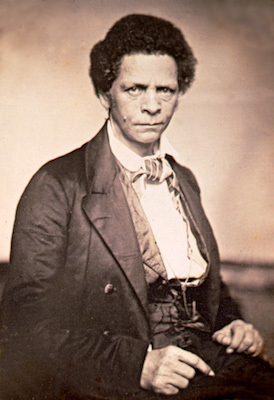 “Joseph Jenkins Roberts,” New World Encyclopedia, http://www.newworldencyclopedia.org/entry/Joseph_Jenkins_Roberts; “Joseph Jenkins Roberts,” Encyclopedia Britannica, https://www.britannica.com/biography/Joseph-Jenkins-Roberts; “Joseph Jenkins Roberts,” Liberia’s Past and Present, http://www.liberiapastandpresent.org/19thcColonist.htm#J.J.%20Roberts.